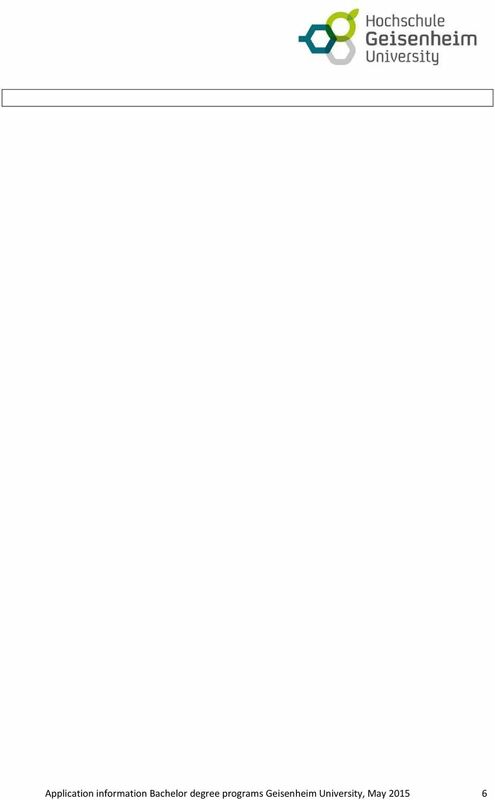 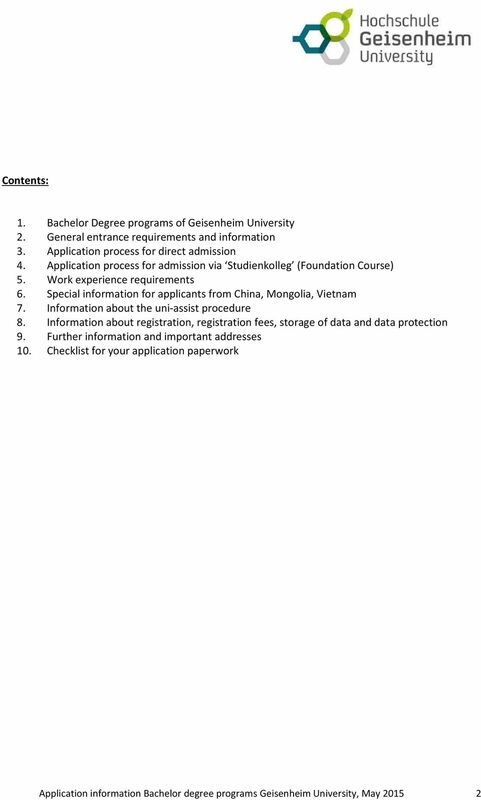 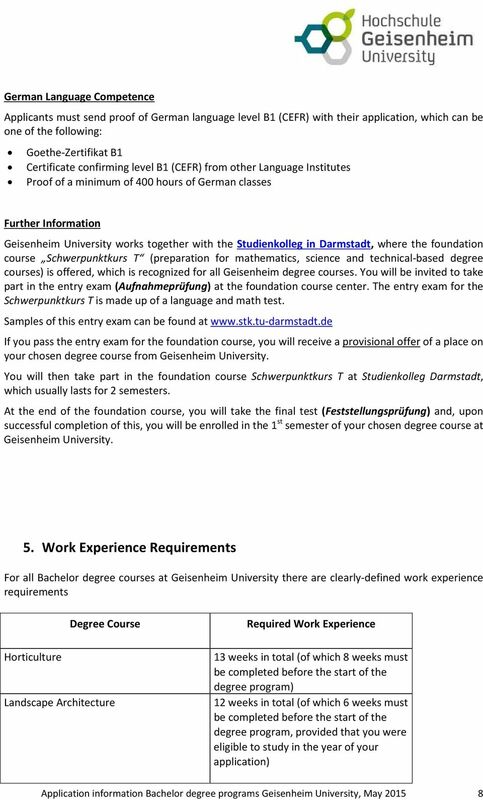 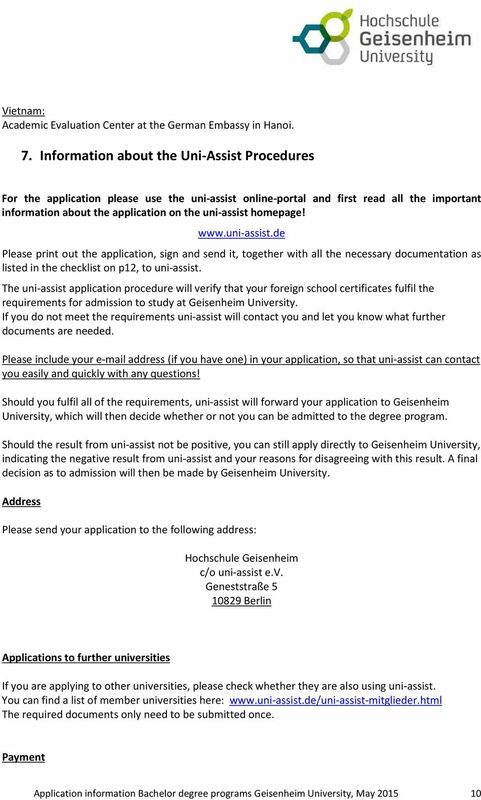 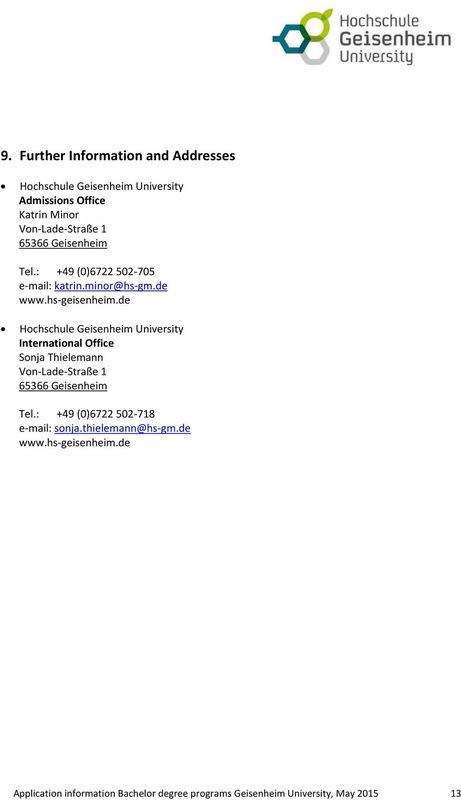 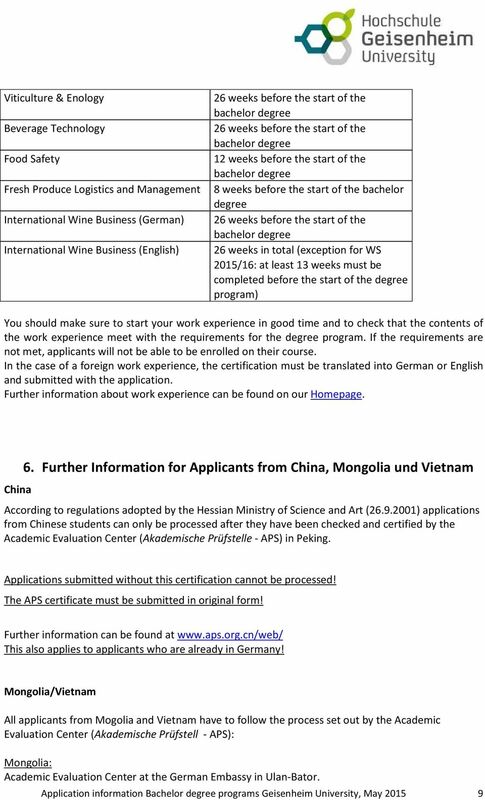 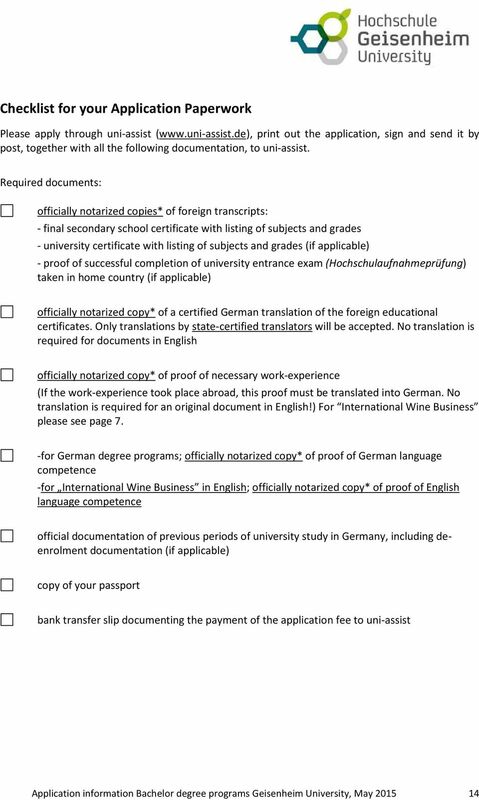 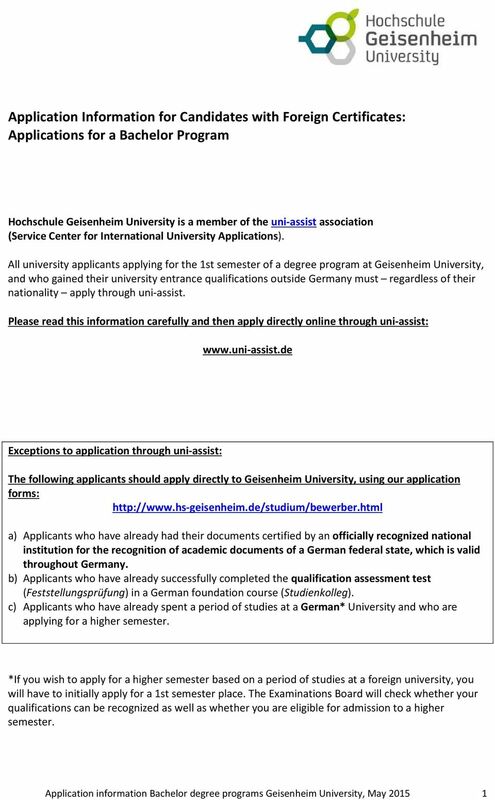 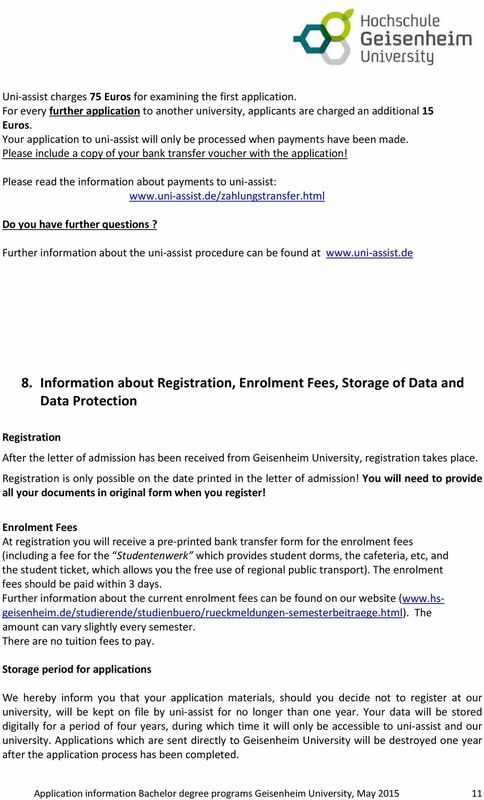 Download "Application Information for Candidates with Foreign Certificates: Applications for a Bachelor Program"
Bachelor courses usually take six to eight semesters and master studies two to four semesters (including final thesis). 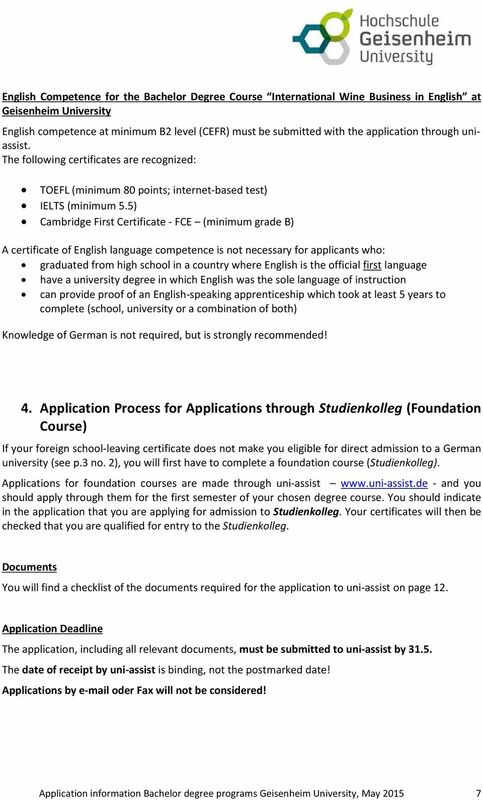 HUMBOLDT-UNIVERSITÄT ZU BERLIN Initial Counselling for Prospective International Students I. 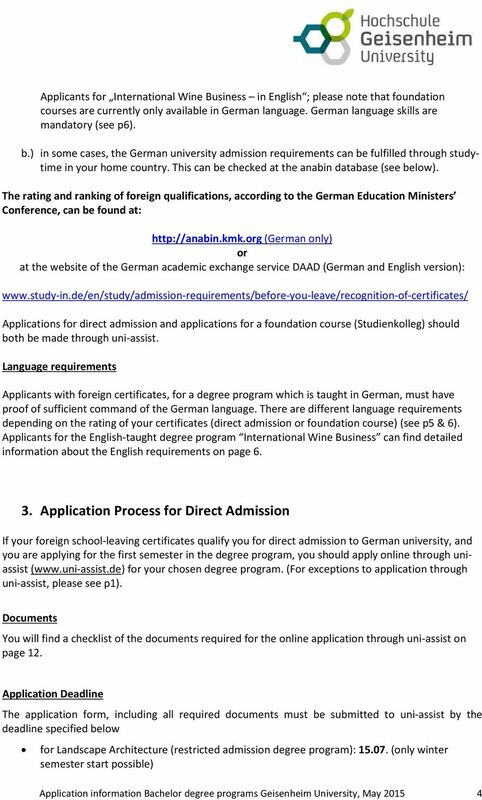 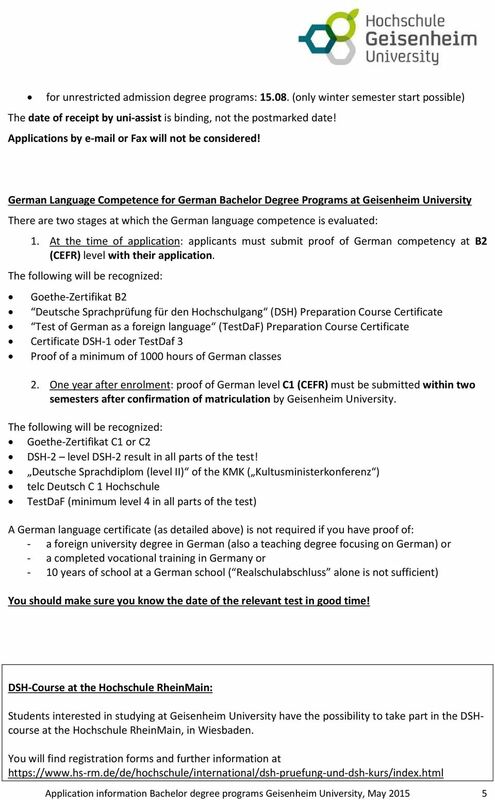 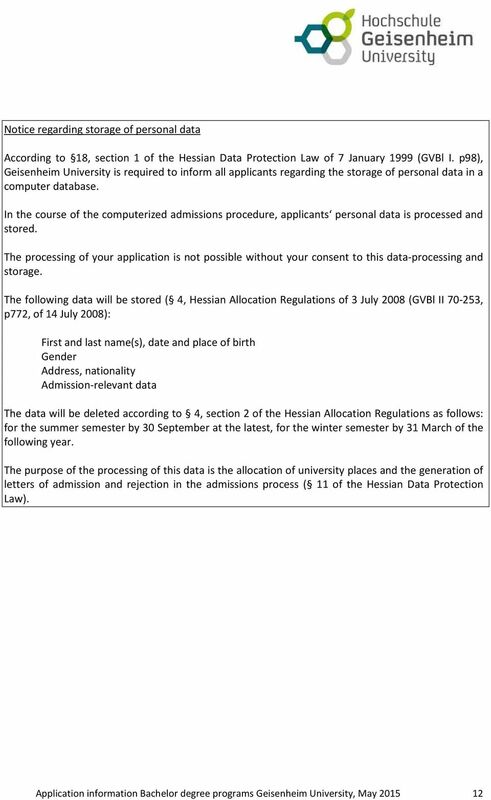 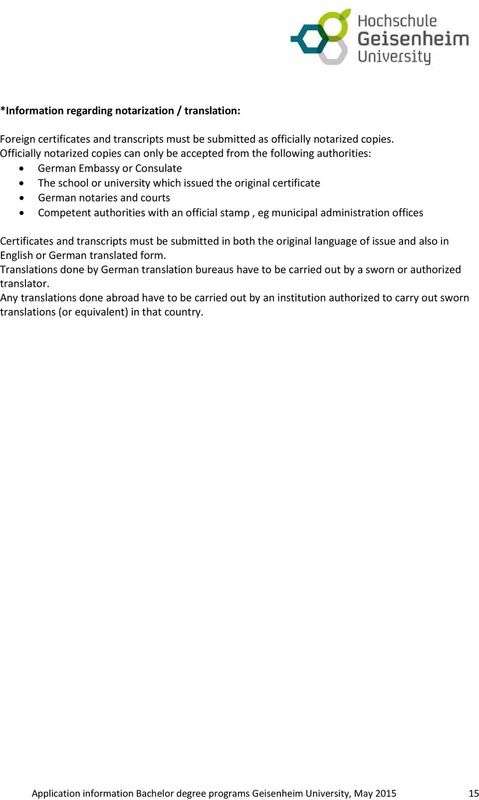 APPLICATION PROCEDURE INFORMATION 17.04. 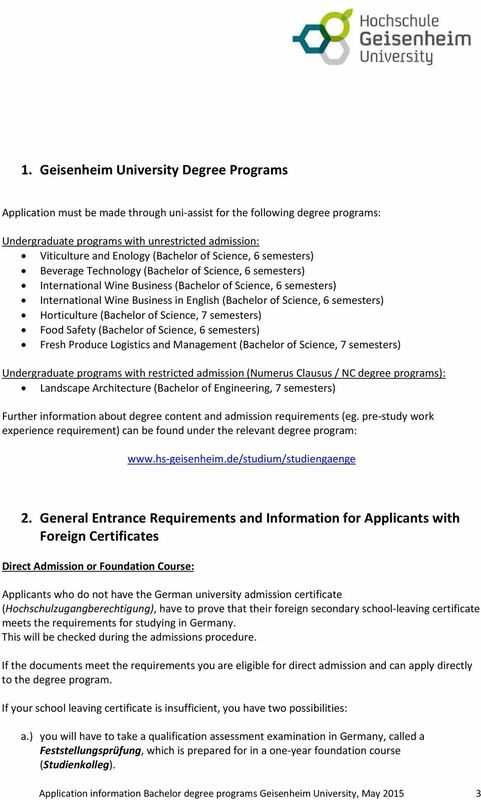 All of our graduate degrees (Master and Bachelor) are internationally acknowledged.